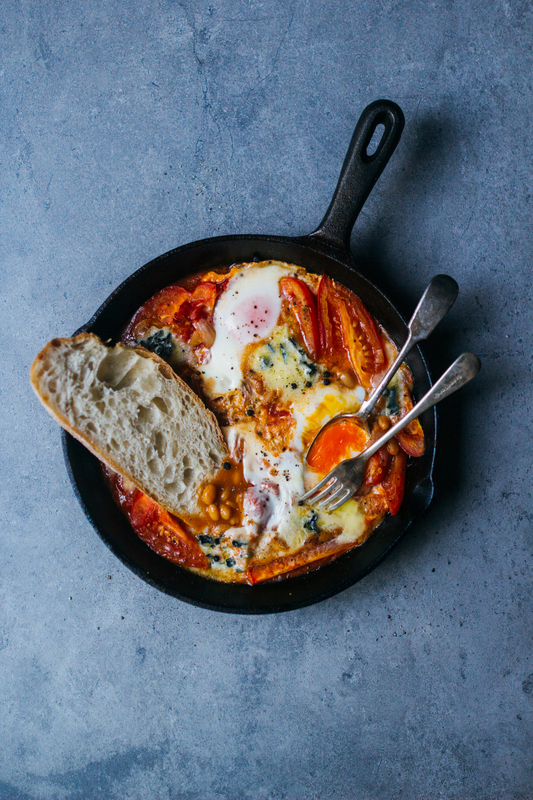 When it comes to my favourite quick lunch I would probably say Shakshuka. This dish is very easy to make, it has a lot of variations so you can use the ingredients you have in your fridge. I’ve tried to cook this dish with different combinations of ingredients: with olives, capers, anchovy, with sweet pepper, etc. 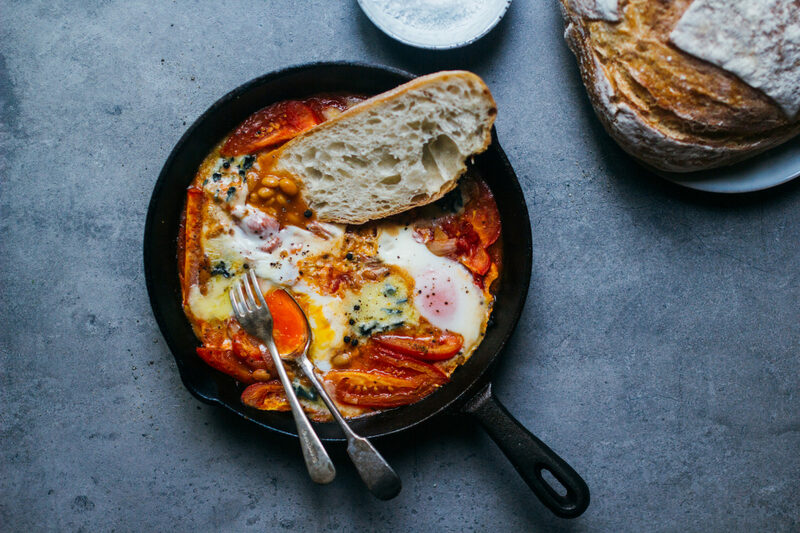 but I always come back to this simple variation with blue cheese addition, so I can say this is my ultimate shakshuka recipe. 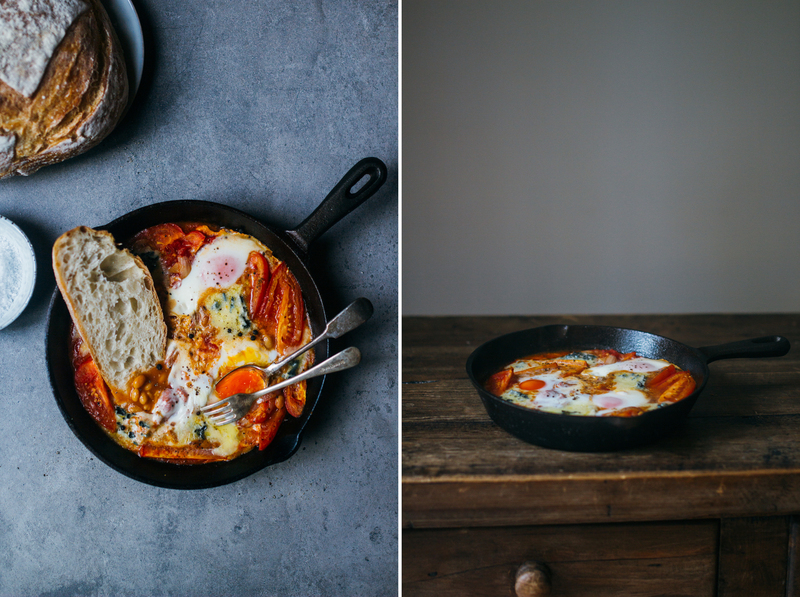 I would be happy to hear about your shakshuka recipe too! Wash the tomatoes and cut them into halves. Preheat a frying pan which you can use in an oven as well. 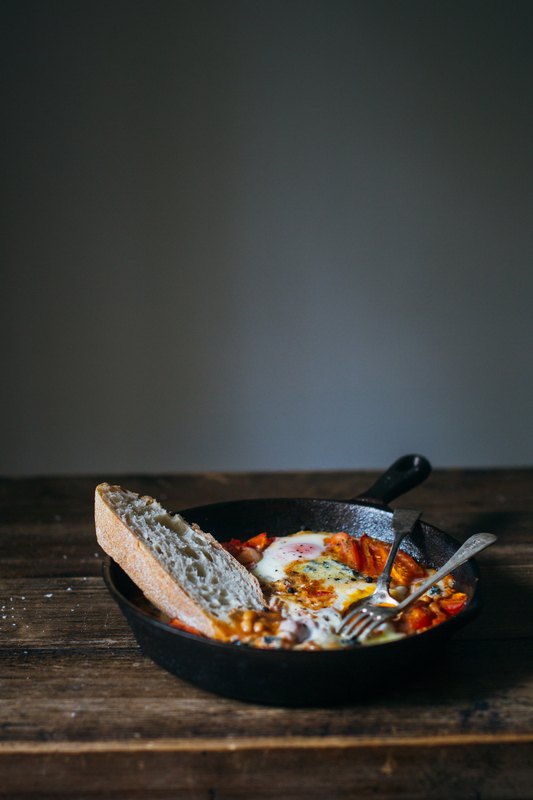 I love cast iron skillet for this. Spread it with vegetable oil. Cut the shallots into small pieces and sauté for a minute. Add the tomatoes and tomato paste, mix and leave for another few minutes stirring constantly. Add the beans and mix. Sprinkle with salt, paprika and black pepper. Cover the pan with a lid and leave for 2-3 minutes. Add the eggs on the tomato mix (try to keep the egg yolks whole) and put the blue cheese pieces on a top. Place the frying pan in the oven and bake for 2-3 minutes until the cheese melts and the eggs will look white. 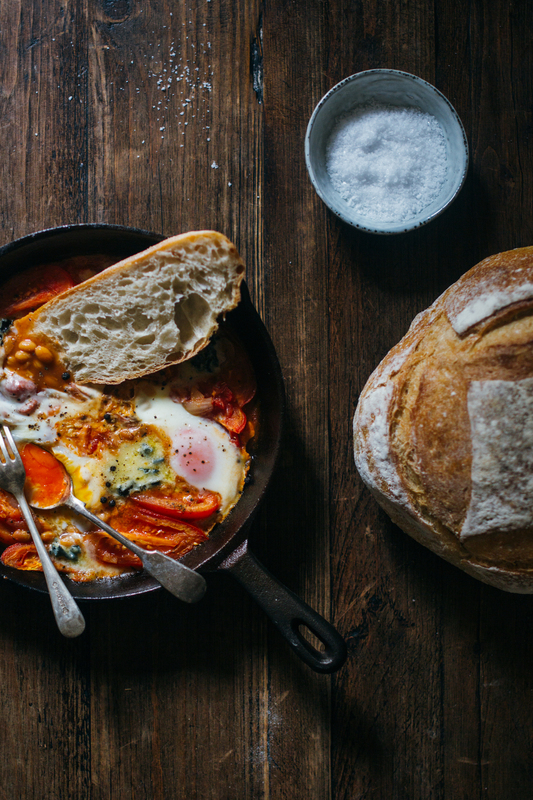 Serve hot with a big slice of bread.